We are not into the exciting, energetic South Beach – sure it’s nice to visit, but when it comes to finding activities to fill our days, we’d much rather have a bit of peace and quiet. Surfside and the surrounding area meets that expectation perfectly, so we went back to the same hotel(ish) for the third year in a row (I’ve raved on my blog before). 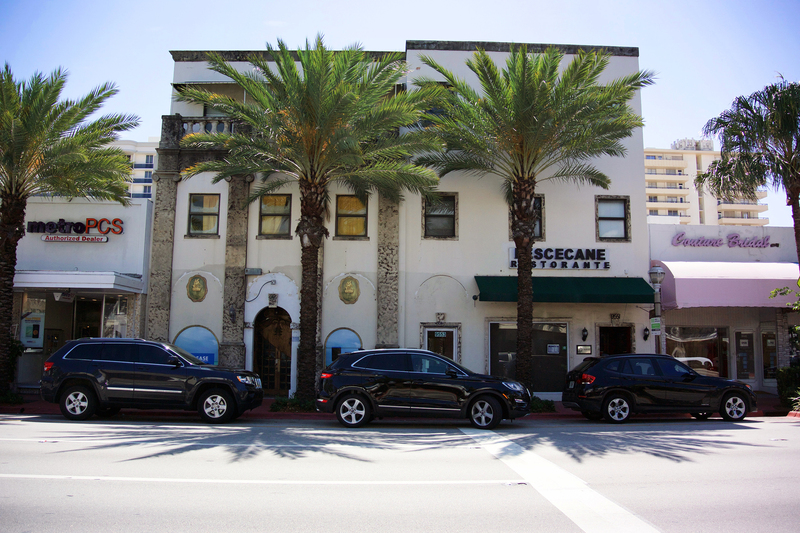 I love the area and would definitely go back – we had a couple of frustrating experiences at our hotel which has put us off staying there again (I’m now on the look out for somewhere new) but the tiny north Miami Beach town remains as awesome as always. There is genuinely nothing that Surfside is missing for me – restaurants, a Starbucks, a good Publix (where I finally had a chicken tender sub – I had American cheese, mayo, lettuce, olives and pickles. Forgot to ask for toasted though) and a CVS for me to stock up on SPF 100. The beach is right there and it’s only a $20 Uber ride to all the main tourist hotspots. When we weren’t visiting the stores on Harding Avenue multiple times in one day, we took a couple of trips to Bal Harbour – both the incredibly upscale shopping mall and also to our favourite burger restaurant – BH Burger Bar at the St Regis hotel. The burgers there are crazy good, and despite only visiting once a year, the staff seem to remember us so we get such a great welcome. We also splurged on a meal at the Grill at Bal Harbour and immediately wished we’d found this place before. The restaurant was very calm – that sounds like an odd thing to say about a restaurant, but that’s the best way to describe it. The food and service were excellent and we had a really relaxed meal. It’s gone right to the top of our favourites list. Of course, I had to visit the Aventura Mall which has expanded since our last visit. It was a ridiculous size before, but now it’s even bigger – according to Wikipedia, it’s the second largest mall in America. I lost my mind in Sephora again, Mum lost her mind in Henri Bendel and poor Husband lost his mind just waiting for us to finish shopping. I think we ended up walking almost 15000 steps which is too much for a mall. We briefly considered slumming it at the Cheesecake Factory for lunch, but the queues put us off so we tried the Grand Lux Cafe instead which I LOVED. It’s like a slightly fancy Cheesecake Factory! 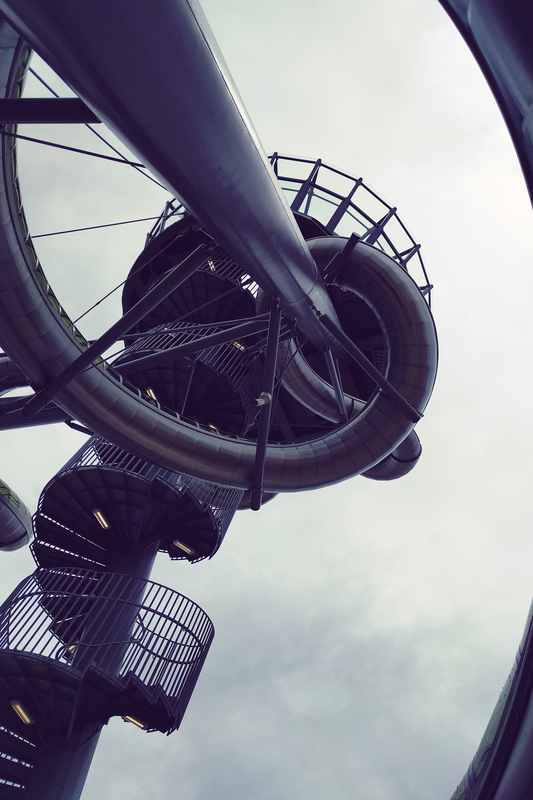 I did find it odd that the Aventura Mall has America’s first Carsten Holler slides. I don’t really understand why. No one was going on them because they were wet, but I guess they’re popular? We also did a couple of other trips away further afield on this trip, but more on that later. 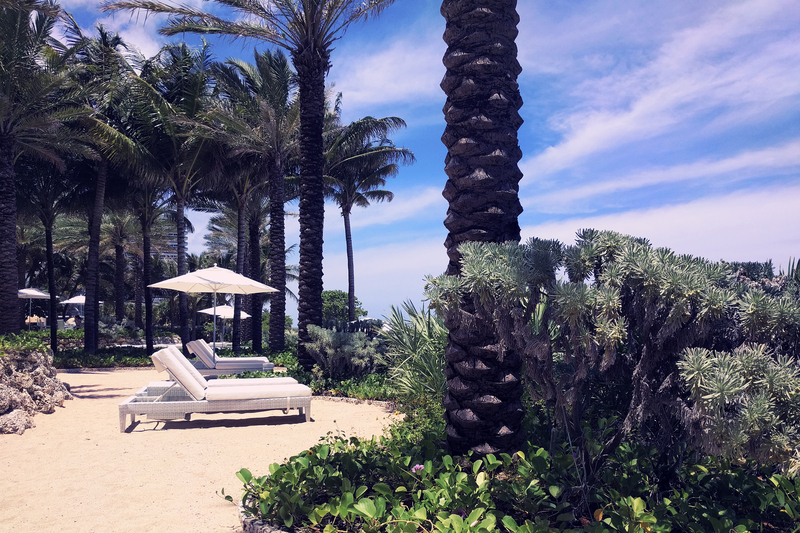 For us, the most important thing after wandering around Aventura, down at South Beach, or back on the mainland, was that we had some tranquility to come back ‘home’ to, which is something Surfside excels at. It’s not for everyone, but that just makes it all the better for us. Surfside, you are my perfect vacation town – never change. A few months ago, Mum decided she want to treat me and my brother to a ‘do-nothing’ holiday, and asked my opinion on where we should go. 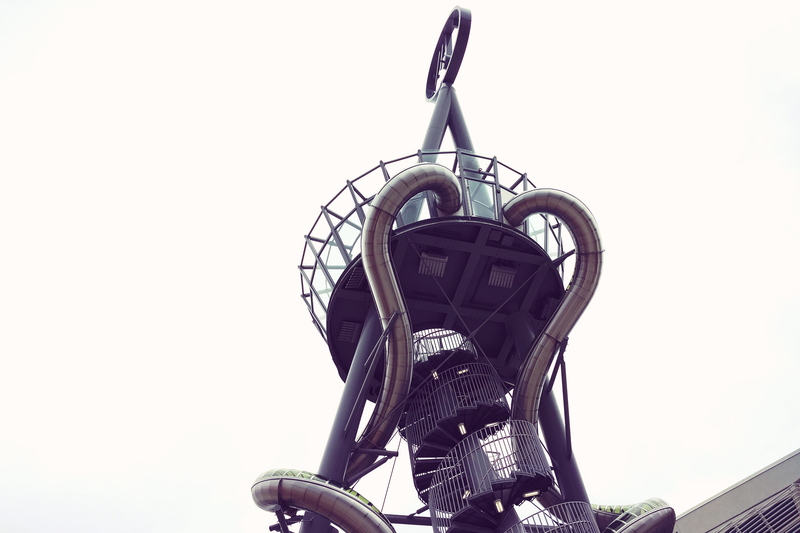 The first place that came to mind was Surfside, Florida after falling in love with it last year. 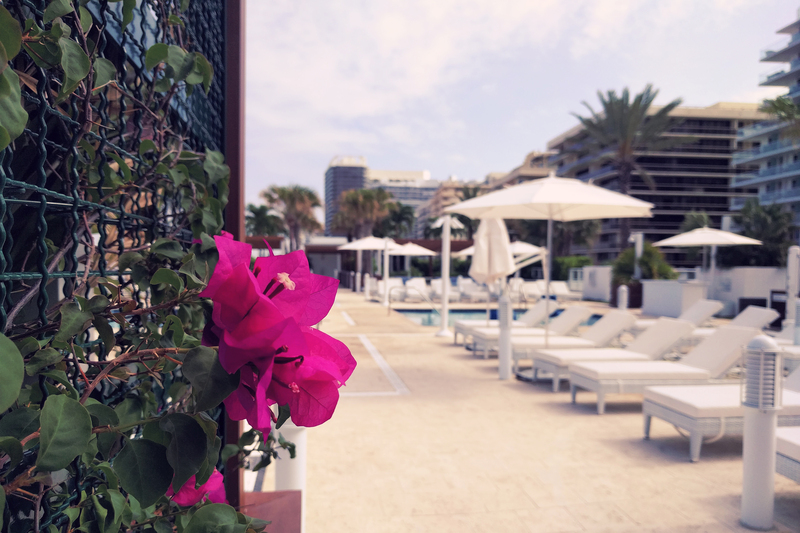 I knew my Mum would love it – she’s a sun worshipper, loves the beach and a bit of shopping, but ultimately looks for peace and quiet on her holidays which is what Surfside excels at. Fortunately, she adored it as much as I do and is even making some plans to return next year. My brother and sister-in-law equally had a wonderful time, and my little niece took to Florida like a pro, strutting round the place with her sunnies and beachwear. We stayed at the same(ish) hotel as last year as well – the Grand Beach Hotel – but instead of staying at their beachside property, we chose the sister building across the road. Because there were six of us, we ideally wanted the three bedroom suite that could only be found at the West building which was a bit of a shame as we would have loved a balcony overlooking the ocean. There were definitely benefits though – as it was smaller, the second hotel is much quieter and we hardly ever saw anyone else. It also meant that we had the rooftop pool to ourselves most of the time so it felt much more exclusive. Never a bad thing. There aren’t any catering facilities in the West building so you have to plan ahead, but that didn’t cause us any problems at all – it’s slightly closer to the shops in Surfside so we were in the Publix and CVS every day (I think I actually went to Publix three times on one of the days – I bloody love it). The main hotel is barely a two minute walk, so when we weren’t sunning ourselves on the roof, we were in the palm garden or eating quesadillas in the restaurant. It was pretty damn hot most of the time, but once again we beat the weather with only one tiny storm making us change our plans. Last year, I read an insane amount of books, but I was so dedicated to relaxing this time round that I couldn’t even manage to hold my kindle. I am genuinely struggling to remember how i filled 8 hours in the garden – it was next level ‘do-nothing’. We did all the usual things on this trip again – South Beach, Aventura Mall, dinner in Bal Harbour and on Harding Ave – with the only new location being Dolphin Mall where I bought a bright pink Kate Spade bag from Bloomingdales which was such a ridiculous bargain. I felt bad about dragging the poor Uber driver out so far as it was a bit trafficy in Hialeah, but he wasn’t bothered at all. 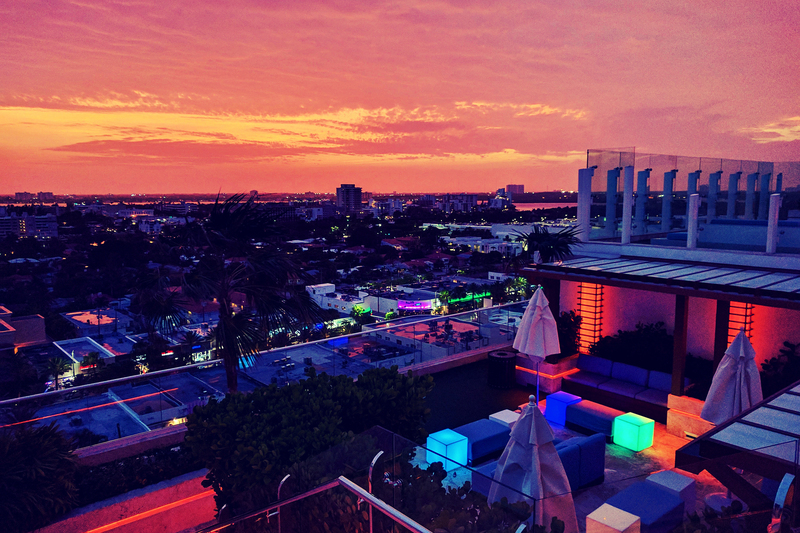 As is now tradition, we went up to the rooftop bar at the Grand Beach on the last night for some cocktails under the pinky glow of a Miami sunset – there was a glorious breeze and I once again wondered if I should start paying the lottery so I can give up work and just be on a permanent vacation. Curse you Surfside – you make it so easy to dream about running away from my mortgage! Despite wanting to spend 24 hours a day in our glorious hotel, we did manage to drag ourselves away on a couple of occasions. We were mostly worried about the rain storms that threatened to spoil our trip, but aside from Saturday afternoon, the promised bad weather didn’t appear (much like our New York stay, the weather forecasts were entirely wrong). Our most visited location was the heart of Surfside, Harding Avenue. 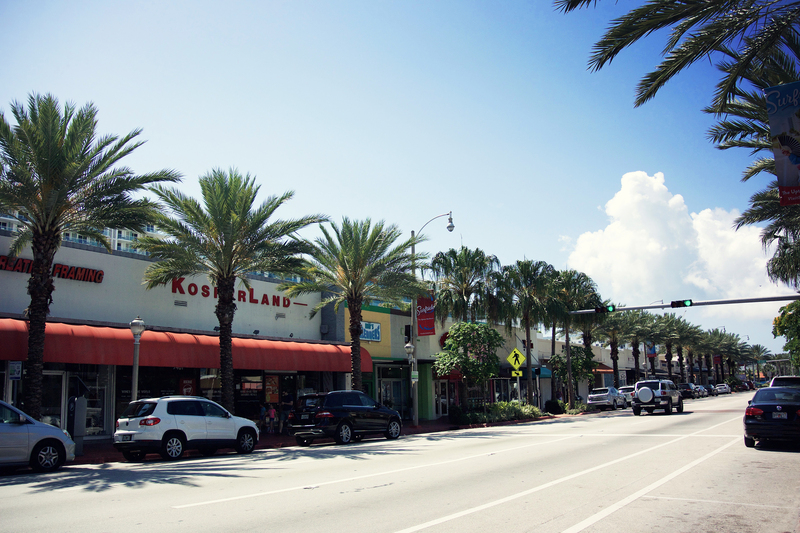 The shops and restaurants are all situated within two blocks and it was more than enough for us – Starbucks, CVS, and Publix supermarket were there for the necessities (like my 100SPF sun cream), and there were loads of restaurant options to choose from. We chose Rustiko for the Thursday night where I became obsessed with their tequeños. It’s a small restaurant but felt very comfortable inside. On Sunday afternoon, we stopped off at Serendipity Creamery for two cups of delicious ice cream, and ate them outside on the pavement tables just watching the world go by. We did want to try another couple of places but didn’t get the chance for one reason or another. Next time. What we loved most about Surfside was the non-touristy-ness of it. We joked that it felt just like our little home town, just with palm trees and a nearby beach. We sat drinking coffee in the morning watching people on their way to work, and the convoys of school buses going passed. We roamed the aisles of the supermarket for afternoon snacks at the same time as people getting their weekly shop. Picking up dry cleaning, going to the bank, stopping by the post office – just normal life. And for a few days, we could pretend that this was our normal life as well. On the Friday night, we discovered that the restaurants on our Surfside short list were closed for Shabbat, so we took the short walk into Bal Harbour, and to BH Burger Bar. The burgers were crazy tasty (if not a bit expensive) and I very much enjoyed my salted caramel milkshake. 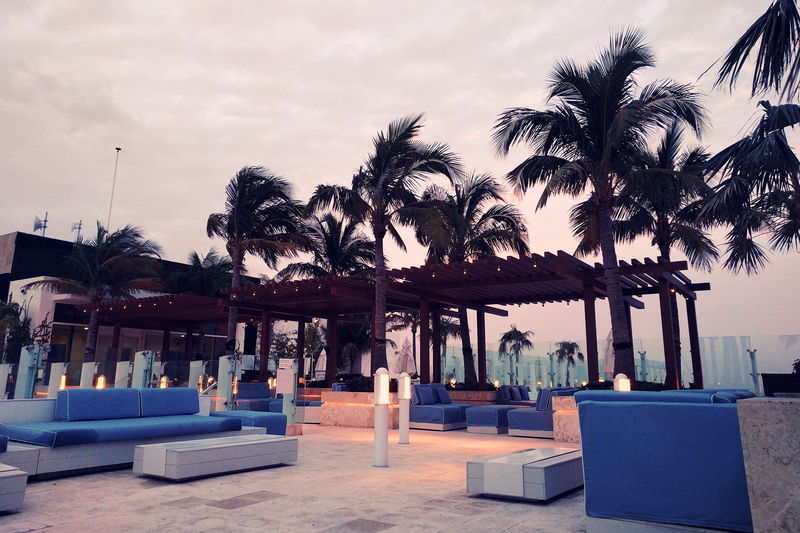 Situated in the very fancy St Regis resort, the bar was relatively quiet which suited us down to the ground. We took the beach path as the sun set on the way back (above) and went past a cordoned-off turtle nest. 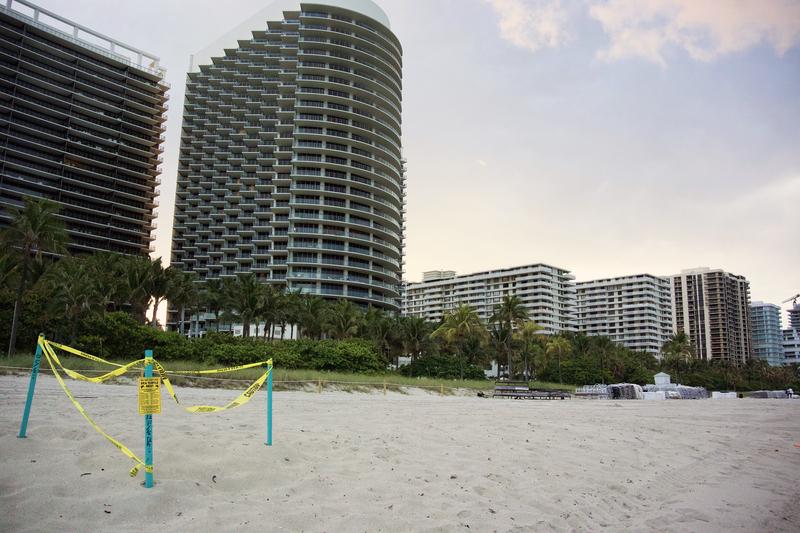 We were a bit too early to see the babies, but Surfside and Bal Harbour do their best to ensure that they’re protected until they hatch (I used my zoom on the photo above – they encourage people to stay far away from the nests). Aventura Mall is further north still, and we took a $12 Uber ride to get there during the only rain storm we actually encountered. Unfortunately, everyone else had a similar idea and the mall was insanely busy, but I did manage to get what I needed from Sephora. It’s a fairly big mall, with stores like Macy’s and Nordstrom and lots of places to eat and people watch. 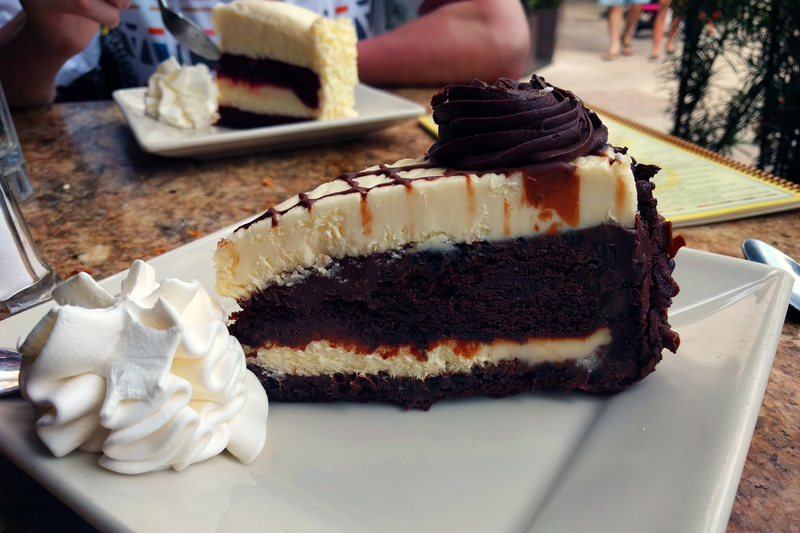 I’m almost a little ashamed to admit that we dined at the Cheesecake Factory that night – during our Las Vegas years, Husband and I had a tradition of eating at CF and taking dessert back to our room, and I still have a bit of nostalgia for that time. This visit was lacklustre and whilst you do get a whole mountain of food, it’s decidedly average. When there are so many other places to eat, it does seem a bit of a shame to spend the evening here. I didn’t even manage to finish my cheesecake. The only other outing we did was down to South Beach, where we walked along Ocean Drive and down Lincoln Road – I took lots of photos which I’ll save for another post.